It is your backyard. And your rules. Football Pitch is a film about friendship, love, teenage problems, dream, street football and the only one mini-stadium for all. Eduard Bordukov, screenwriter and film director, was a sportsman, a world-class athlete. He wrote a story about things he knows the best, things he can feel, those he experienced himself. He shot a film for young people, with lots of sport and lots of drive, with a great team of young and handsome actors and an incredible soundtrack. 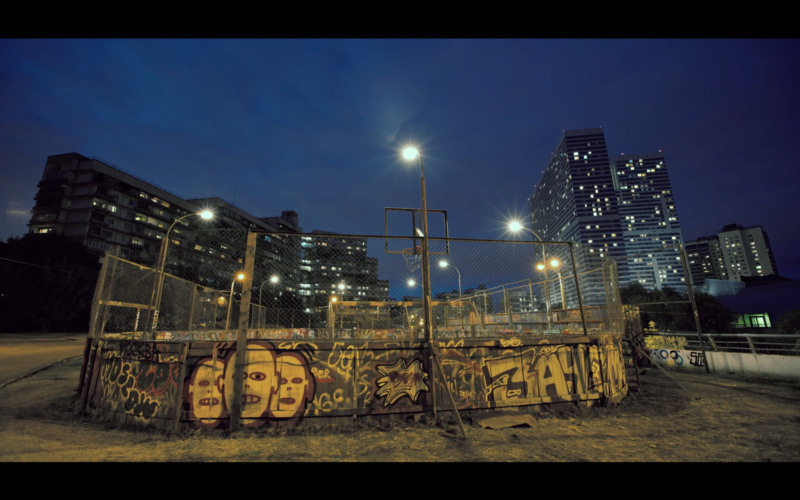 Many well-known singers perform in the film, such as L’One, Noize MC, Smyslovye Gallyutsinatsii, Kurara, Cosmic LATTE and others. A pleasant bonus for the youth culture lovers are the graffiti in the film made by Zachem, a legendary Moscow street art team. 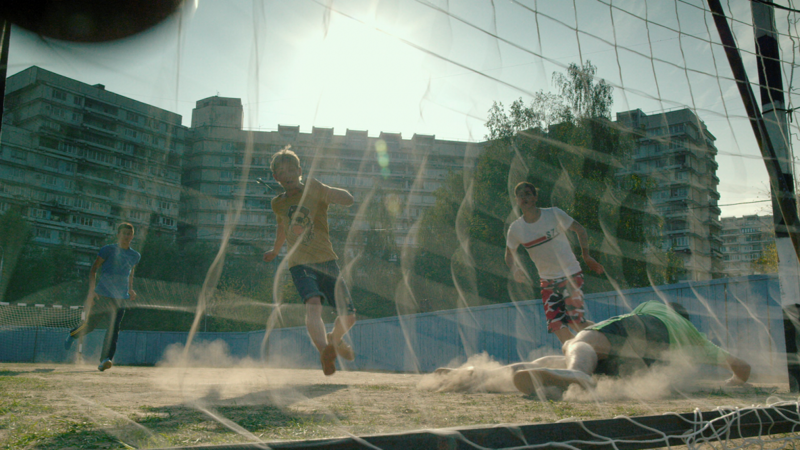 Eduard Bordukov, film director: “This is a story about football, about youth, about plentiful energy. It shows how, in an aggressive world, modern young people can use their energy in peaceful ways. In our huge country people of different ethnic origins really need to find common points. People who live side by side cannot insulate themselves. 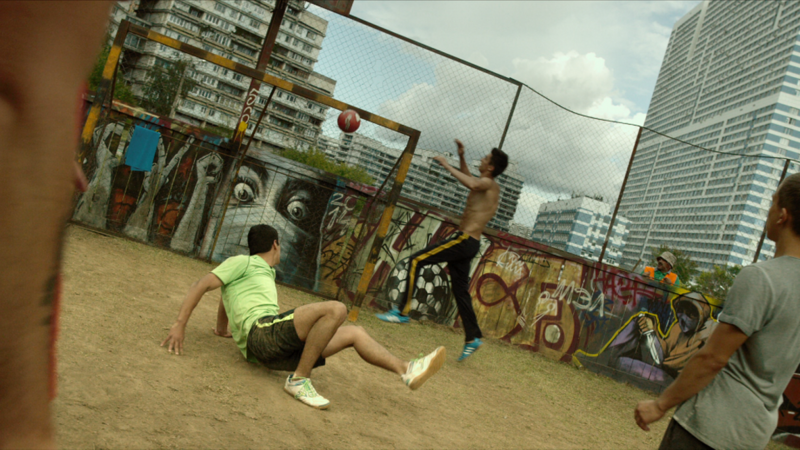 The small stadium that serves as a focus for the main part of the film is a metaphor of the city, of the country, of the world”. Kirill Degtyar, actor (Damir): “Modern football cannot avoid the topic of human relations and ethnic conflicts, and UEFA’s No To Racism campaign is not a new one. 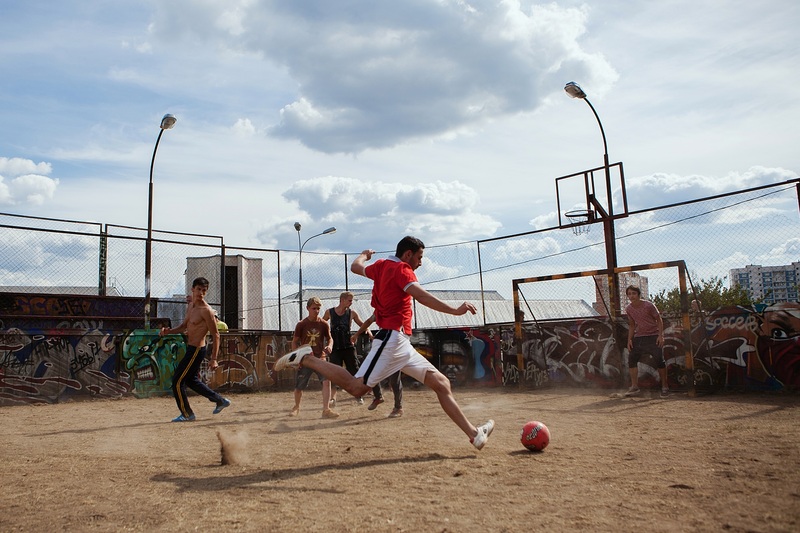 In the Pitch something as simple and as common in Russia as street football is used to show another topic, less common and much less simple, the topic of interethnic conflicts that become more and more common in Russian cities. Football Pitch is the first Russian film dedicated to inter-ethnic relations amongst youths. 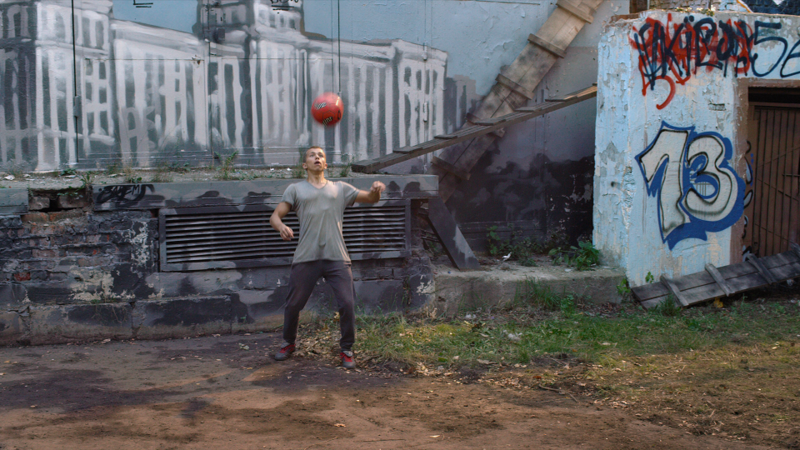 Kostya and his friends are young and love playing street football. He is the coolest of the lot. Kostya dreams of playing professionally, but cannot bring himself to approach the coach. His girlfriend, Nastya, shares his dream, but street football is Kostya’s life, and the outdoor pitch is akin to a second home, a place for friends to meet and play. One day, Kostya’s team comes head to head with a group of Caucasians. They are lead by Damir, a professional footballer. A conflict arises between the two groups as neither the Russians nor the Caucasians are willing to share the pitch. So, they decide to hold a 3 match tournament, with the winner keeping the pitch for themselves! Gradually, the whole neighbourhood gets dragged into this tough and uncompromising tournament. The stakes grow higher and higher and there is no way back. This is no football tournament anymore; it’s war, a battle to the death!